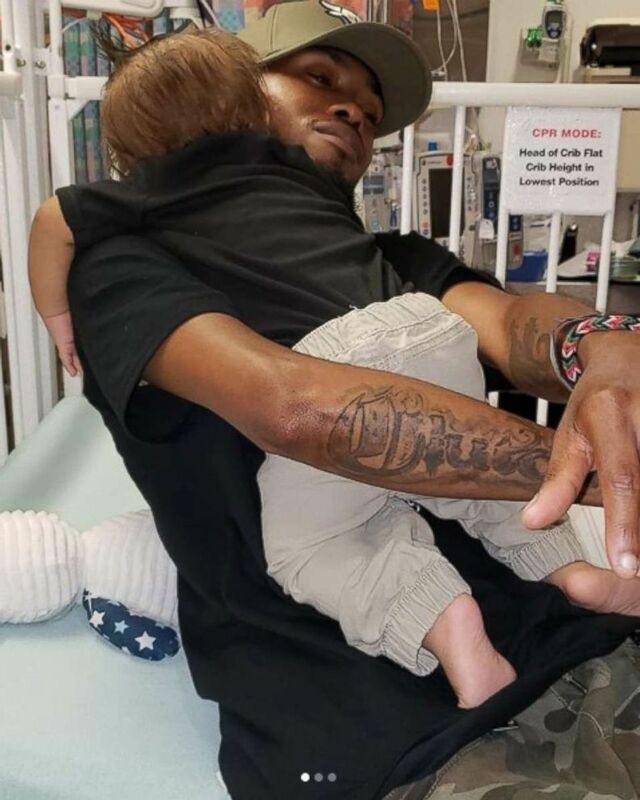 This doting dad celebrated his baby's release from the hospital in the most incredible fashion. Kenny Thomas, 34, danced to Ciara's "Level Up" for his 1-year-old, Kristian, after the toddler recovered from his first round of chemotherapy. Kristian was diagnosed with leukemia on June 19 and spent 32 days at the Children's Hospital of Philadelphia for treatment. 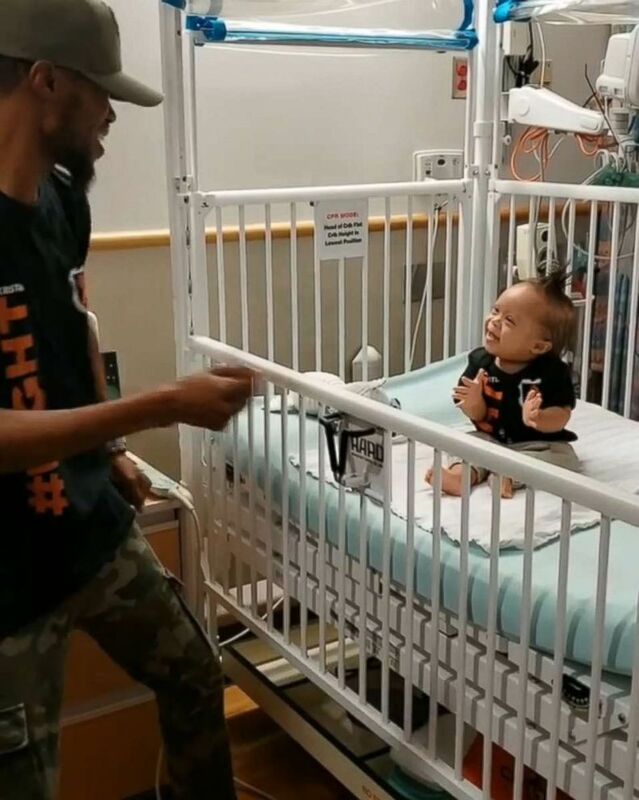 Kenny Thomas, 34, danced for his 1-year-old, Kristian, at Children's Hospital of Philadelphia. "Music is therapeutic for him and he's always calm when music is on and when someone is dancing," Thomas of Merchantville, New Jersey, told "Good Morning America." "He's always in the studio with me and is always seeing me dance. He is a bundle of joy and ball of fire who is truly inspiring." Kristian was born with Down syndrome as well as a blood disorder, which causes his platelet counts to be low. Last month, he was sent for further evaluation when doctors discovered he had cancer. Over the course of Kristian's chemotherapy treatments, Thomas, a father of four, would dance for his son to cheer him up. Kristian Thomas, 1, stayed at Children's Hospital of Philadelphia for 32 days after one round of chemo to fight his leukemia diagnosis. In the most recent video Thomas, who is head cheorographer and artistic director of The Level Dance Complex in Pennsauken, New Jersey, performs the "Level Up" challenge for Kristian. The sweet Instagram footage has been viewed over 2.5 million times. In the video, Kristian is seen smiling, clapping and dancing along with dad. "This dude's a character," Thomas said. "He's always happy, always playful, ready to dance."